Why use Adams Carpet Care for Raleigh Tile & Grout Cleaning? Increasingly, homeowners and builders are turning to ceramic or stone tile for their kitchen, bath, entry, office and new construction projects. The reasons are clear, as tile is durable and provides a beautiful décor element to a home or office. The only problem with tile is cleaning it! Dirt seeps deep into the surface of tile and grout and mopping or scrubbing alone cannot remove this dirt! 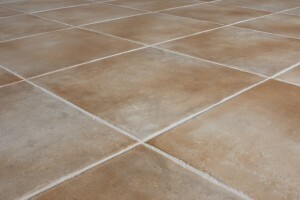 Everyday household cleaners are powerless to restore the tile & grout back to its original look. That’s why we at Adams’s Carpet Care offer tile and grout cleaning to homeowners and businesses, alike. We use a truck mounted steam extraction method to clean tile and grout, including colored grout. We always use cleaning products that are environmentally safe for your home or office. Our cleaning expert team, which is family owned and operated, will come to your home or business to provide your cleaning. We offer tile & grout cleaning in Raleigh, Cary, Durham & Chapel Hill. We offer free estimates and a 30 day guarantee, if your spots come back within 30 days of a cleaning, we come back too, at no charge to you! Contact us today for tile & grout cleaning services.